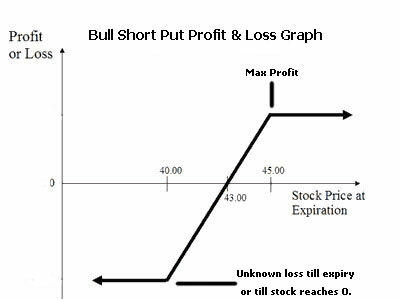 Short put is a strategy which can be played when you are bullish about nifty or any stock. If you think that Nifty will be go up you can either buy calls (long call) or short puts (sell puts). Most retailers almost always buy option and never sell. Its quite strange as option buyers mostly lose money. Your strategy should depend on market conditions and not just one single strategy. Anyways coming back to the topic. 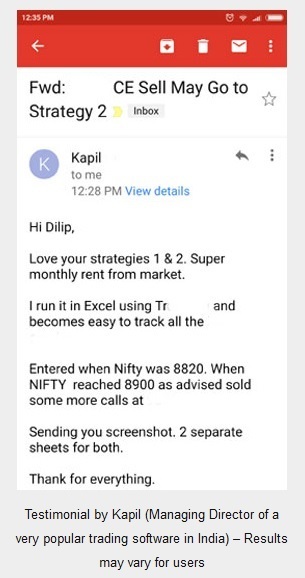 If you think Nifty will move up you can short puts. If your view was right, your put will expire worthless and you can keep the premium. Of course if your view was wrong – you are at unknown risk till expiry or till the stock or index reaches zero. 🙂 Put cannot lose any further. 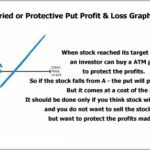 Its clear from the graph above that a put loss can be max when the stock reaches 0. A short put cannot lose more than that. However a short call can lose unlimited amount of money because the stock can rise to any level on the upside. In my course I teach how you can use this feature to your advantage. Don’t be afraid of shorting puts, but have a plan like buying another put for protection. Yes you can buy calls as well if your view is bullish and it does have a limited risk. But the problem is buying options also comes at a risk. We will first discuss the short put and the difference between buying calls and shorting puts later. Let suppose Nifty is at 5300 and you think that it may go up in the near future (you are bullish), you can short OTM puts. For example if you think Nifty may not go below 5200 this series as it has already come down a lot recently, then you can sell 5200 put. The lower you go, the safer you are, but the lesser premium you get. Low risk low returns, high risk high returns. If Nifty does not go below 5200 as you had expected, you keep the premium. However if it keeps going down, your risk starts from 5200 minus the premium you got. For example if you got 100 as premium then your risk will start from 5200-100 = 5100. Therefore it is always recommended that you should do a credit spread. Short 5200 put and buy 5100 or 5000 put. That way you will be not be on unlimited risk and you can breath easy even if Nifty is going against your view. Selling naked options is very risky. With credit spreads you know your max risk, and the best part is you are not on max risk from day one. If indeed nifty moves against your spread you can buy it back and sell another spread much lower – say for example 5000/4800. Chances are this time you will be successful. After all what are the chances that Nifty will close below 5000 within a month? 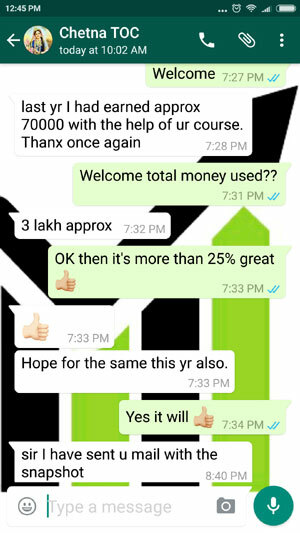 You will get back your loss plus you may make some profit as well. 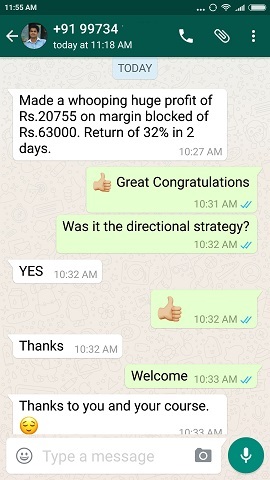 Of course you must make sure you are not taking a big loss, so before Nifty reaches an uncomfortable level you should buy back to close the spread. And if you think nifty will go even further down, you can wait for a couple of days to sell another spread. This will give you double benefits of going much lower and getting good premium. And don’t forget the losses you restricted because you acted sooner. If you keep waiting for things to reverse, thatâ€™s the worst decision you can ever take. Because in trading, hope never works. Period. Yes nifty may revert back, but most of the times waiting for too long will make your losses bigger and impact your over all return in a year. And one more thing – you should not wait till expiry. If you got 70-80% of return of a sold put or call you should close it as eventually you will find that a profitable position going back to a losing one. You do not want that. Don’t be cheap. Just close your profitable position, and be happy. Look for other opportunities. Now coming to the difference between buying calls and selling puts. Both do the same job – giving you profits if Nifty goes up. On paper though buying calls is limited risk and unlimited profits, and shorting puts is limited profit and unlimited risk. However in reality both of them have some risk and some profit. Example time. Lets suppose Nifty is at 5500 and you decided to short put and you got 100 as premium. Your friend decides to buy calls. Lets suppose 5500 call is also at 100. As a buyer probably he is looking for 10 points or 20 points profit. That is what most option buyers look for isn’t it? However you have decided that you will close your short put if Nifty reaches 5400 – that is your stop loss. Your friend will make his 20 point profit and exit. 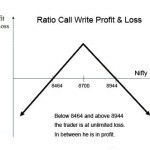 If nifty does not come back to 5500 in that series – your put will expire worthless and you keep all 100 points. Who made more? Yes, if your view was wrong you are at unlimited risk so you can’t wait beyond 5400 and close your trade at a loss, however an option buyer may wait till the end of series to try his luck as he is at limited risk. 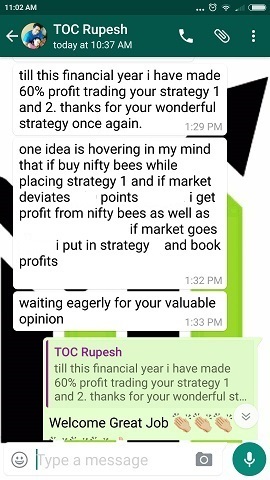 If nifty turns and starts moving up, he can close at a profit. As you can see there is a trade off in both. Some people like me, like to sell, but some like to buy. That is not important. 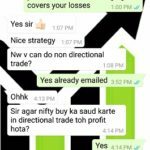 What is important is what nifty does after you put on the trade.